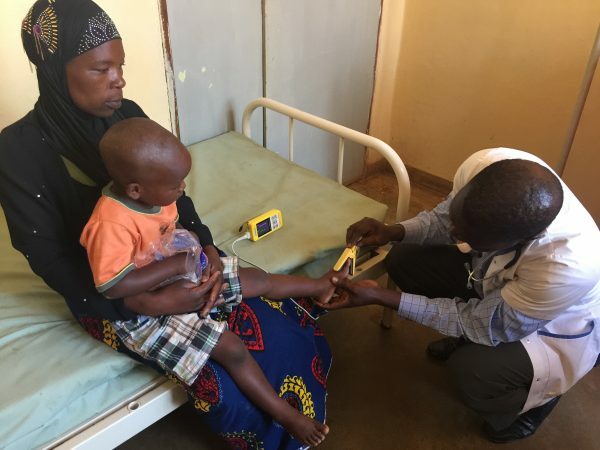 Lifebox, a global leader in oxygen monitoring technology for low-resource settings, has developed an innovative pulse oximetry probe design for children under the age of five. Developed with support through a grant from the Bill & Melinda Gates Foundation, the design has the potential to radically improve access to oxygen monitoring worldwide. Pulse oximetry plays a critical role in the diagnosis and treatment of pediatric pneumonia, which kills nearly a million children under the age of five each year. But until now, challenges of design, cost and distribution have limited spread of the technology in countries where it can make a life-saving difference. Robust, reliable, and affordable when manufactured, it has the potential to radically improve access to oxygen monitoring worldwide – and help to save tens of thousands of lives. Frontline healthcare workers in Bangladesh and Malawi were consulted at every step through a human-centered design process, making this a unique approach to designing technology for the user, by the user. Multi-language education materials are available to support frontline healthworkers in critical decision-making. It was led by Drs Iain Wilson and Isabeau Walker, Lifebox trustees, in collaboration with Dr Nick Boyd at Great Ormond Street Hospital for Children NHS Foundation Trust (GOSH), Dr Carina King at the Institute for Global Health (IGH) at University College London (UCL), Dr Eric McCollum at Johns Hopkins University and local NGOs and government in Bangladesh and Malawi. Additional support from Mike Berstein at Physio-Monitor and Linda Cheng at Acare. End-user consultations were coordinated by NGO partners working with IGH and Johns Hopkins University.